To measure wine temperature, simply hang over the neck of the bottle. Elegant minimalistic design. To measure temperature, just hang over the neck of the wine bottle. 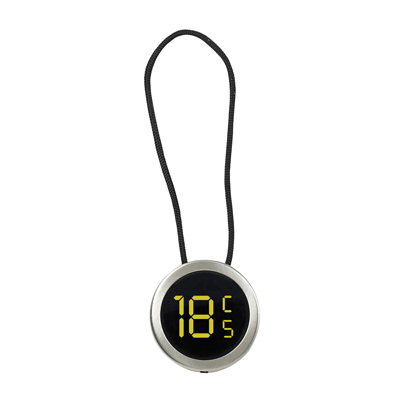 After a few minutes, click once to read the temperature in degrees Celsius, or click twice to read the temperature in degrees Fahrenheit. Easily track when wine has reached room temperature, alternately use to check whether wine has been chilled to the perfect temperature.